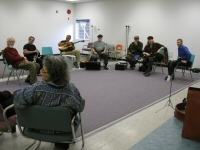 HICUPS typically meets on the third Saturday of each month, the location alternating between Victoria, Cobble Hill/Duncan and Ladysmith to make travel as easy as possible for most members. Typical attendance is about 6-7 people, the record is probably twice that many. 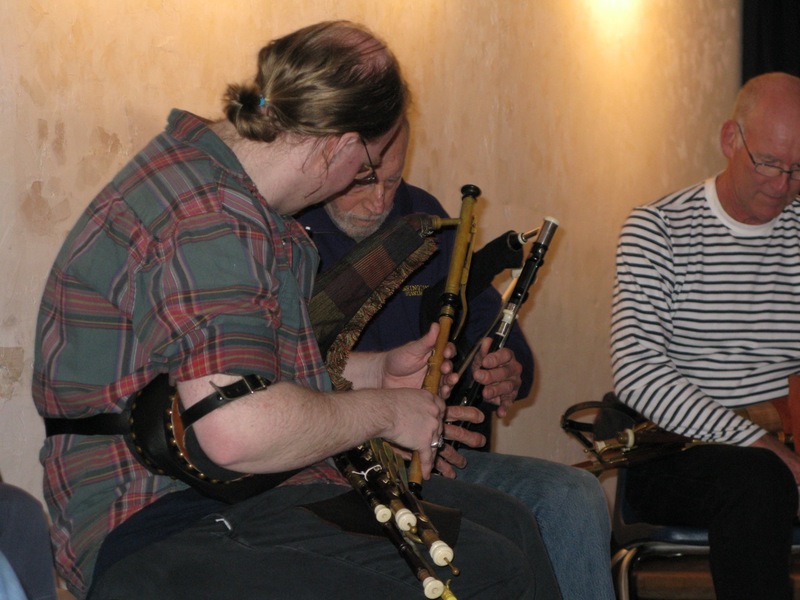 The meetings can and do encompass whatever facet of uilleann piping is of interest to everybody present on the day, from tune playing to more formal workshops or lessons, reed making and adjustment, and whatever maintenance is necessary to keep everyone's pipes going properly. Equally important is the craic! Food, drink, camaraderie, and lots of great conversation including the ridiculous, the sublime, all the stuff in between and the kitchen sink besides. 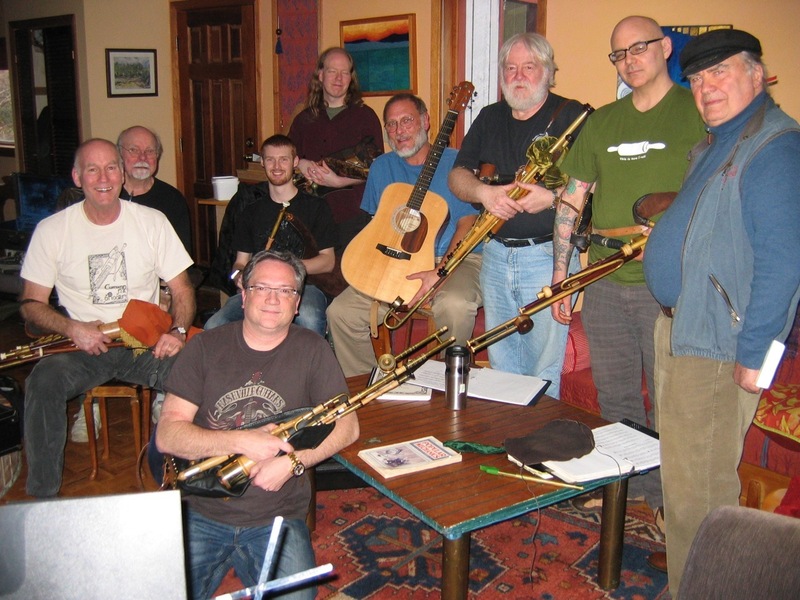 We also occasionally make collective appearances at music festivals or celtic-themed events. 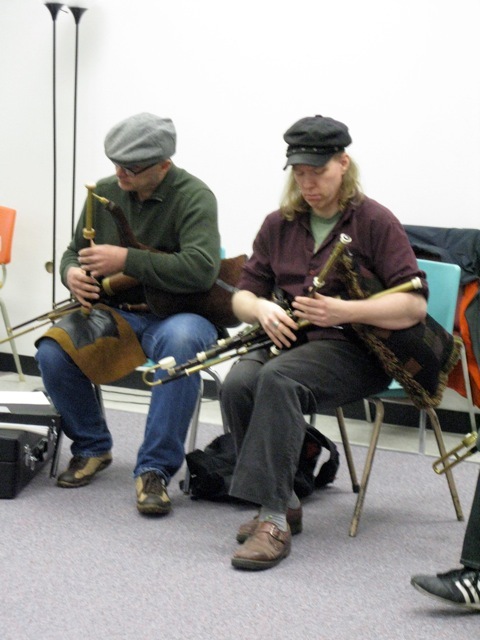 These can take the form of a presentation on the uilleann pipes in general, demonstrations and/or individual or group performance. 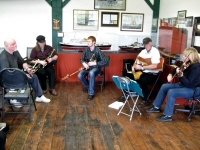 We think this is a worthwhile part of promoting the instrument, and we hope to have further opportunities to increase the exposure of the uilleann pipes to the public. The next monthly meeting will be on April 16 at Bryan's house in Ladysmith. Contact us if you'd like to attend but need directions. Our 2014 International Uilleann Piping Day event was in the Ladysmith Maritime Society offices, in the Waterfront Gallery building on October 18. For International Uilleann Piping Day 2013, we put on our local event at The Hub at Cowichan Station on Oct 19. There was an interested and appreciative audience of about 30+ people. 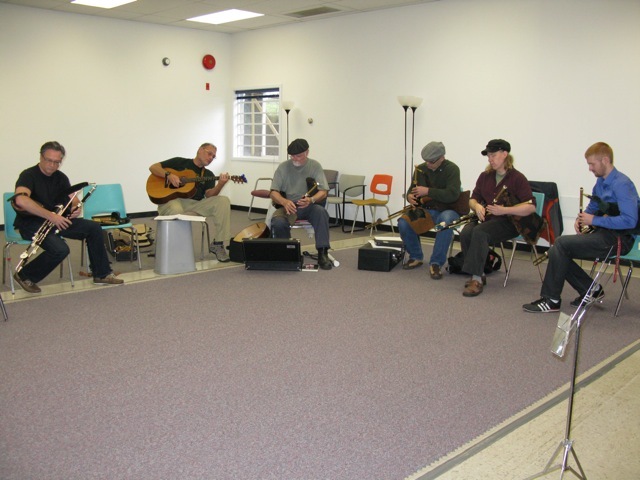 We did some playing, some Q&A discussion about the instrument, some show & tell, and we even had a handful of people strap in and give it a try! Much of the event was group playing. 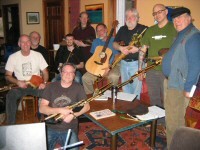 Group photo from our Feb.2012 meeting. 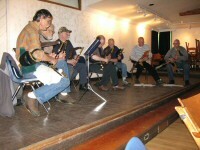 Group performance at the 2010 Celtic Festival on Hornby Island. 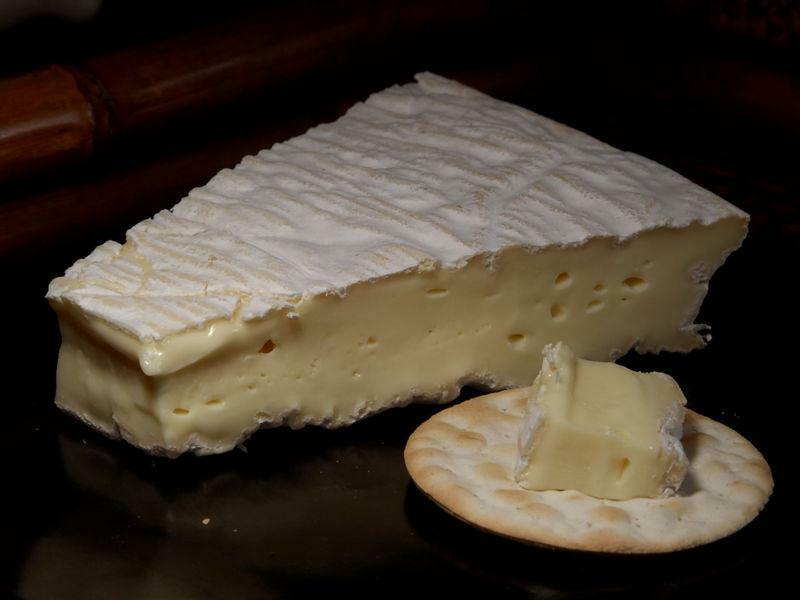 The "Tip o' the Brie."